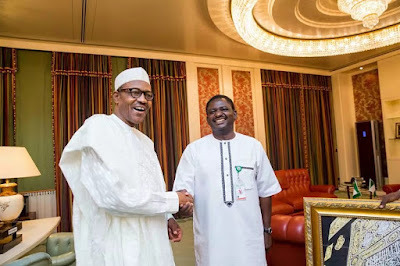 While speaking during a Channels Television programme on Tuesday, Femi Adesina, the presidential special adviser on media, said that President Muhammadu Buhari's 2011 statement that he will only be president for one term is not applicable anymore. “The other one of running one term was in 2011. When he was running in 2011 he said yes he will be a president for only one term but did he win in that year? No. The victory came in 2015. So that being quoted from 2011 is not applicable again. “There were a lot of convincing and appeals. I have sat in different meetings with different groups and the president and all of them the reason they came was that they run for a second term in office. “And do you know that whenever the president reacted to this groups, he will pick every other thing he raised and he said the issue of a second term he will not say a word and that has been the past one year, these calls have started coming and he didn’t say a word. That reinforced my opinion that for him that it is not a do or die affair it is just a matter of serving the country. The president’s spokesman said the declaration would not affect governance, saying: “I think the president had just picked the right time to make his intentions known, whether it will affect governance or not depends on the personality of who is the president. Speaking further, Adesina said the president may be re-elected on his achievements in security, reviving the economy and fighting corruption. He said; “There certain things that he set out to do. Normally it comes up under three broad umbrellas. One is secure the country, two is fight corruption, three is revive the economy and I have said it in all three areas.